I almost love the ‘leftovers’ part of Christmas food more than the actual meals themselves, as I believe that’s where the creative part of the cook shines through. 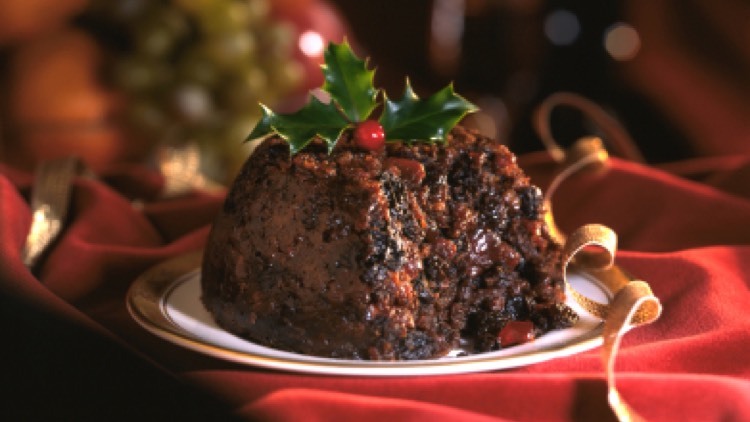 One of my all time family favourites is how to use up leftover Christmas pudding – trust me this tastes a whole lot better than the Christmas day attempt to eat a rich fruit pudding after you’ve overeaten at dinner! It’s a winner with everyone and you feel virtuous for using up all the leftovers too. Give it a try, it’s nice and simple. 1. Cut up your remaining Christmas pudding into wedges, not too thick though. 2. In a thick bottomed frying pan melt 50g butter and add 50g of sugar, just let these melt together, don’t stir. 3.Once the sugar caramelises (turns a lovely toffee colour) add the orange juice and zest from the orange – this will bubble up so be careful! 4.Once the liquid is combined add the slices of cold, sliced Christmas pudding and cook through on both sides for 2 minutes. Feel free to add more orange juice to keep the lovely sauce. 5. Just before serving add a good glug of your favourite liqueur – we used Cointreau. 6.If you have any brandy butter left add a dollop to the top, if not crème fraiche makes a great accompaniment. This is a delicious dish and we think the very best way to eat it! Enjoy! We’ve got some great ideas for food over Christmas including how to make chutney and sausage rolls. Take a look and get a few ideas for Christmas.